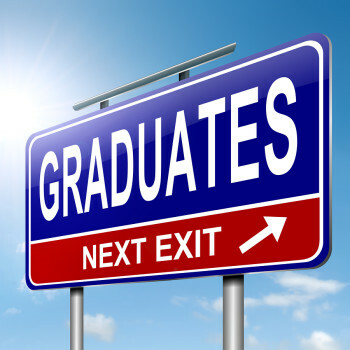 If you’re looking for great information to help you decide where to apply to grad school, you’re in luck: the US News and World Report has released its 2016 rankings of US engineering graduate schools, complete with details on enrollment, tuition and degree programs offered. US News doesn’t issue yearly rankings, but revisits many graduate programs every few years. Rankings for the engineering schools are based on two types of data: representational surveys of deans and other academic officials and statistical indicators measuring the quality of a school’s faculty, research and students. So aim high! Here are the top five ranked schools for engineering graduate studies. The School of Engineering at MIT has about 45 percent of the total enrolled graduate students at MIT—approximately 2,800 students. About a third of the school’s total faculty members also teach at the School of Engineering. MIT offers close to 20 research centers on campus and a variety of university initiatives and interdisciplinary programs that offer ways for engineering students to learn or get involved in their community and other exciting projects. The School of Engineering at Stanford offers students a diverse campus near Silicon Valley, where students can find learning opportunities, internships and employment. Students also have the option for cross-school programs and other campus-wide initiatives. The UC-Berkeley College of Engineering offers graduate students advanced degrees in eight areas. The typical time to earn a master’s at Berkeley is two years, but the College of Engineering also has the accelerated Berkeley Engineering Professional Master’s Program, which graduates students in one year. All graduate students are also required to complete two minors, in fields either inside or outside the College of Engineering. Additional educational opportunities are available through the 40 research centers and institutes that are part of the College. The Division of Engineering and Applied Science at CalTech offers students a master’s of science program in a year, or a special engineer’s degree in aeronautical, civil, electrical or mechanical engineering in two years. Students can also pursue their master’s studies part-time or advance further into Ph.D. programs. On-campus research centers and student organizations offer learning opportunities and support outside the classroom and CalTech alumni regularly return to the campus for seminars and talks on research breakthroughs. The Carnegie Institute of Technology houses the graduate engineering programs, offering 10 interdisciplinary majors that can be completed in conjunction with other departments at Carnegie Mellon University. Engineering students can pursue either course-based or research-based master’s degrees and most of the departments offer Ph.D. programs as well. The school also offers students international opportunities to study and research abroad. There is also an accelerated master’s that can be completed in a year, called Engineering and Technology Innovation Management. As well, the school has facilities in Silicon Valley, where students can complete master’s degrees in software engineering or software management. Quality Assessment, a combination of peer assessment scores from school deans and recruiter assessment scores from corporate recruiter and company contacts who have hired from the ranked engineering programs. Student Selectivity, comprised of mean GRE quantitative scores for master’s and doctoral students entering programs in 2015 and acceptance rates of students who were offered admission. Faculty Resources, including the student-to-faculty ratio, the percentage of faculty who are members of the National Academy of Engineers (NAE) and the total number of doctoral degrees granted in the 2014-2015 school year. Research Activity, comprised of the total externally funded engineering research expenditures and the average research expenditure per faculty member. For the full list of schools and full details on rankings, check out the US News and World Report website.